Yesterday as I went to the checkout counter at Subway, I saw a sign propped up next to the till, asking for donations for the #StrongAgainstCancer campaign. If you don’t know what that is, it’s a donation campaign to raise funds for children’s hospital for children fighting cancer. I teared up right there on the spot. 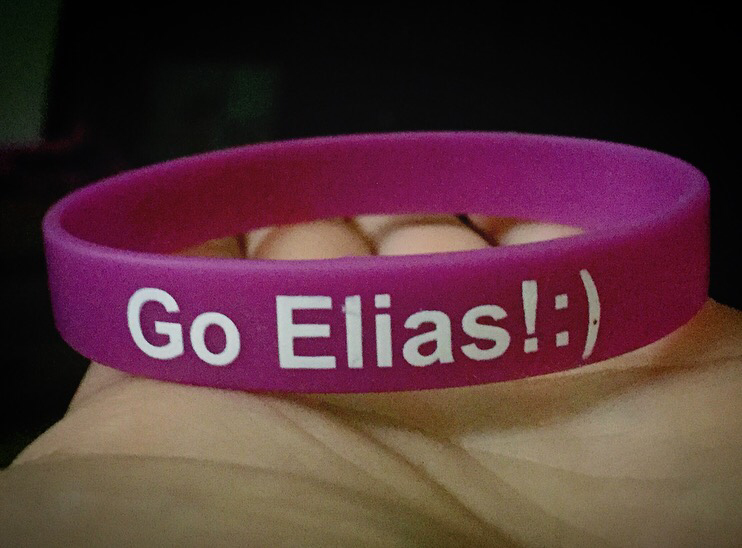 I then saw my wrist and I realized I was wearing the purple band for Elias. So I just began to cry. My heart shattered in a million little pieces all over again. It’s been a tough few days with Michael lately. From meltdowns, early mornings and to no sleep at all. You see, my patience has been running thin. My appreciation of my rainbow baby was starting to fade. My joy for motherhood was being robbed as I wrapped myself up in what I should look like as a mother in society with a “difficult” child. As I left and tried to buckle in my 2.5 yr old son, screaming and crying and kicking, I just thought to myself that “this is just a phase, he will calm down, he will sleep eventually, and he will laugh shortly”. This phase will pass. When? I don’t know. Truthfully I’m not even sure “all of it” will ever pass, but most of it will. 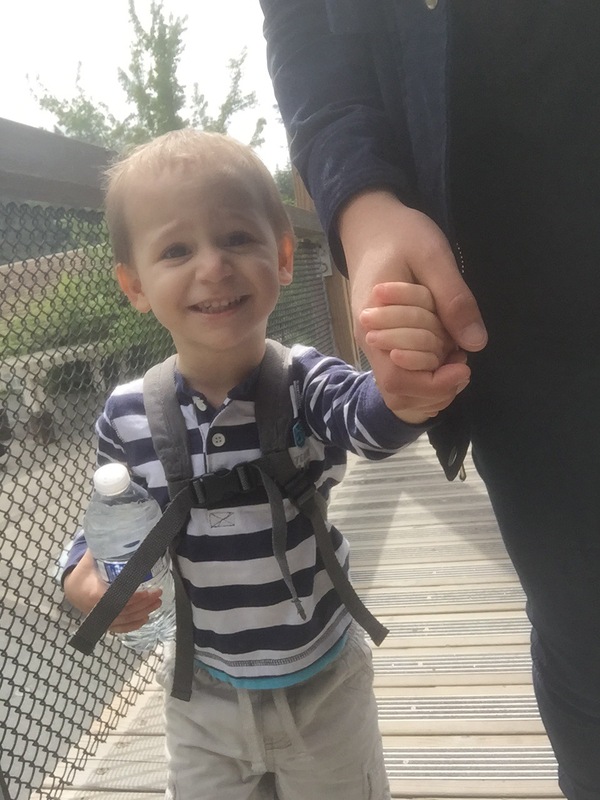 He’s improved greatly with the OT, CST, and Kindering classes and therapy we’ve been doing. I also have a support system now that I didn’t have before. I am grateful for this. I am blessed to be his mother. LOthers don’t understand him, but I do. Yes, he is a handful, but not because he’s spoiled and not because I’m not trying “hard enough”. So I won’t let anyone use that against him anymore. I won’t let others use my son as a standard in how they don’t want their kids to be like. I won’t let them blame him for being a boy and “that’s just how they are”. No. 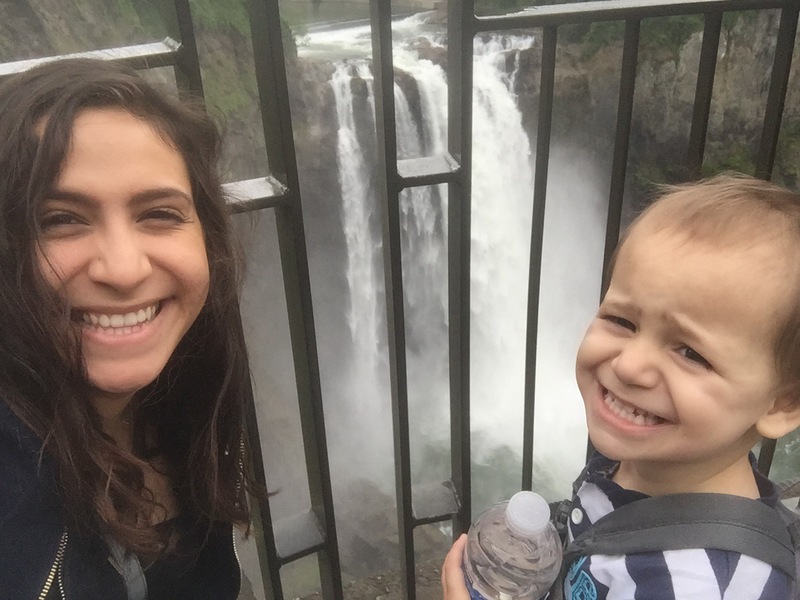 My son can be difficult at times, yes, but because he doesn’t have control over the disconnections in his body. My son is loving, kind, silly and very affectionate. His laugh, his smile, it brightens up the room. He brightens up my world. Those are the days I live for, even when they’re not as frequent, all of the in between is worth it. So if you ever see me (or any other struggling momma and child) in public, while my son is having a hard time, please know that I’m having a hard time too. But also know that while we are having a hard time, it compares nothing to those who are fighting such a terrible disease called cancer, and we are trying our hardest to enjoy our motherhood in the midst of these hard days. So don’t judge me, don’t judge a fellow mom. Instead offer help, validate them, pray and send them good vibes, or even smile at them and remind them that tomorrow will be a new day. “The days are long but the years are short.” This couldn’t be more true. Next Next post: Wake up and shake it all off. Today is a new day.